Discussion in 'Busse Combat Knives' started by Jerry Busse, Apr 10, 2018. Does Mr.Brown have a sheath for this yet? Apocalyps, Mike Pierson, boring and 3 others like this. I would like to see the MMS offered in August and this one compared side by side in the same picture. Apocryphiliac, Midwest Firecraft and WValtakis like this. 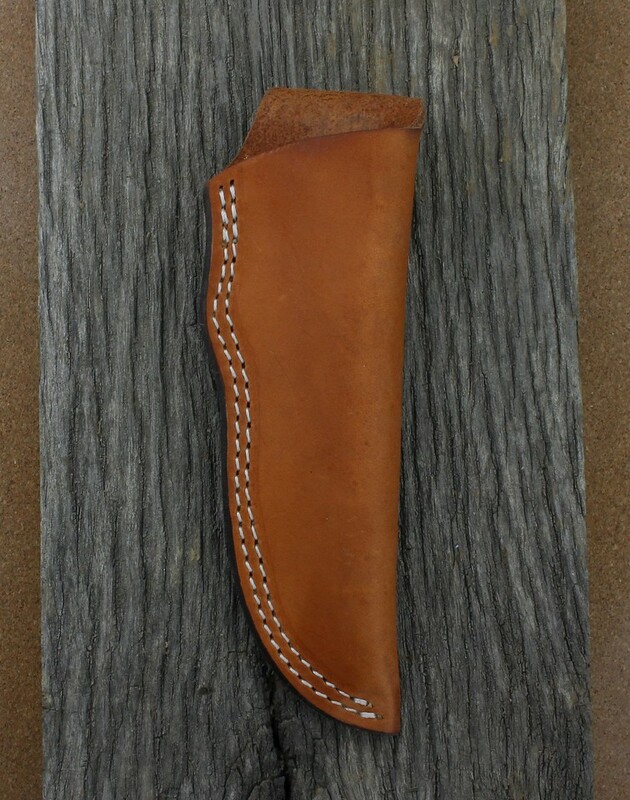 We'll try to get a pic of the optional leather pouch sheath up today. KNIGHTENFORCER, Mike Pierson, Topshot85 and 3 others like this. This one is appealing...but I finally started carrying my UG-LE; and don't know that I want to displace it. Guess I'll wait til Sunday, and see what the bourbon tells me to do. HST and Cheesehead_Slasher like this. Looking forward to this. Been too long since I tried my hand at a Ganza. Here's the sheath that Danny The Bull has put together for this offer. Double stitched with a triple riveted belt loop for only $29.95!!! musicisevil, KNIGHTENFORCER, Higgs Particle steel and 2 others like this. Jerry, as Im not familiar with Mmike's designs, which features of the mentor carry his mark the most? I think it is likely the blade shape, as evrything else looks like classic Busse design. But the blade seems more stout somehow, and from what Ive seen of Mike's work, that may be his style, but of course we'd all rather hear your take on it. I haven't tried scotch in years...still didn't like it as of that time. Bourbon and I have a good relationship. We know each other, and get along well. Bourbon also accepts my summertime flings with tequila, knowing that I'll be back. I'll trust this decision to bourbon... assuming I'm home, and that I even remember that the sale is happening. My guess is that if I were to leave it to scotch, I'd end up with at least 3 of them ordered... and think it was a good idea until the dings. Crosier, Aias and Midwest Firecraft like this. Very cool Jerry. It reminds me a little of the Swamp's Rodent Solution. It will be here on this site. Good luck to all those Hogs who go for it. Be careful to watch for hog treachery ~ On the official Busse website at exactly 9 EST the blades will go live - and it's feeding time. Wednesday is going to be awesome!! !